Somerset Place, 5009 N. Sheridan Road. UPTOWN — Uptown residents have given Zidan Management Group the green light to renovate a troubled former nursing home into a 160-unit apartment building with ground-floor retail space. Somerset Place, a nursing home that housed felons and mentally ill patients with elderly patients was closed in 2010 for various violations. On Wednesday, neighbors discussed and voted on Zidan's proposal to renovate the vacant 29,000 square-foot building at 5009 N. Sheridan Road. Zidan seeks a zoning change that would allow a mixed-use development. Residents voted 64-5 in favor of the plan, said Sara Dinges, an aide to 48th Ward Ald. Harry Osterman. "It went really well with such a great turnout, and there was an overwhelming sense of support," Dinges said. Uptown resident and Carmen-Winona Block Club President Joseph Trendl said the meeting at Margate Park Field House "went very well," and was attended by nearly 100 people. The redevelopment will provide a "blank slate to help revitalization" of the area, he said. "From the beginning we've always maintained that Somerset was really the linchpin for the redevelopment of Sheridan Road between Lawrence and Foster," Trendl said. "In its previous form, because of the way the facility was run by the ownership there, it was really looked upon by businesses as a detriment to the neighborhood." In 2008, a resident of the now-defunct facility was found beaten to death in a nearby motel. Authorities cited a lack of proper supervision of the patient by staff in the 400-resident facility. Staff failed to file a missing person's report or call police when she vanished, authorities said. The nursing home was closed in 2010 after it lost its license to operate and Medicaid eligibility, and was hit with fines after state health inspectors discovered various patient safety violations. Somerset Place Realty purchased the property in 2011. Officials said renovation efforts will begin this spring if the project is approved by the city. An attorney for the developer Zidan, Bernie Citron, said that renovating the building would cost more than $10 million. Osterman must first review input from block clubs and the community, conduct his own final review of the plan and render a decision. Dinges said that should come in "the next couple days." Final approval for zoning and permits will come from the city at a later date. Trendl said on Thursday that he is writing a letter to Osterman in support of the project and he's asking other community leaders to do the same. He acknowledged lingering concerns among residents about parking. 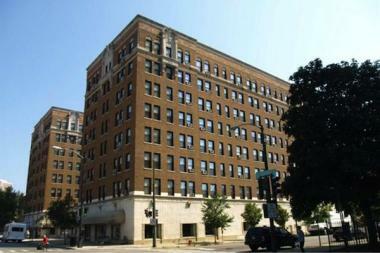 The property would contain fewer than 30 parking spaces, although Zidan has a deal with the owners of the former AON building in Uptown to offer residents paid parking. Zidan would subsidize the cost. A lot of people would prefer on-site parking, but the below market-rate prices for spaces sweetens the deal, Trendl said. "It's my suspicion that this is going to go through," he said.